But did you also know that it can be useful when studying for the ACT English test? That’s right: the same principles guiding the series of films in which half of the characters only grunt or beep will actually lead you to ACT success! We’re going to look at everything you need to know about ACT English. The awesome news is that we’ve put all this information in one place for easy reference! On the other hand, I know that it’s easy to go into information overload, so let’s take a quick moment before proceeding to talk about how you can use this post to your best advantage. If you’re totally new to ACT English, start with The Least You Should Know About ACT English, then move right down to information about Timing and Scoring. You may also find it helpful to take a look at ACT English Question Types; at that point, it’s a great idea to take your first full-length ACT Practice Test to get more information about your strengths and weaknesses and then come back to check out how to boost your score in the ACT English section. 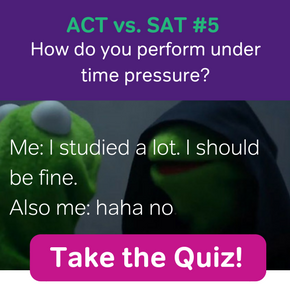 If you’re already familiar with ACT English but want to boost your score, you might want to check out our ACT English Quiz before moving on to Common Struggles and How to Boost Your Score by 2, 4, or even 6 points! Finally, if you’re already an old hand at this ACT English thing, but want advice on how to bring your score up those last few points, you should take a look at the Table of Contents to see if there’s a particular area of the ACT English test you should learn more about. Then, go on down to Common Struggles and How to Boost Your Score. If you’re feeling really ambitious, check out our advice on Getting a Perfect 36 on ACT English and then explore more free lessons and resources for in-depth looks at particular content areas. Ready, Jedis? Let’s do this! ACT English is the first section on the ACT. This alone is reason enough to prepare well for the test, even if you’re already a grammar master: feeling confident during this section will go a long way in establishing your attitude towards the entire exam on test day. Like the other multiple-choice tests (the ACT’s word for sections) on the exam, ACT English is required. Unlike the ACT essay, you won’t have a choice in whether or not you take it. When you open your test booklet to the test, you’ll see a variety of short ACT English passages, approximately 4-5 paragraphs long. Within these paragraphs, sentences are underlined and numbered to correspond to questions. You read the sentences and evaluate them based on the conventions of standard written English, meaning everything from usage and mechanics (grammar, punctuation, and structure) to rhetorical skills (strategy, organization, and style). When the question stem reads “Choose the best answer,” three of the answer choices will provide variations of the underlined portion. The first answer choice of the four options provided for each these questions will always be “NO CHANGE”: in other words, that the sentence is correct as written. In other cases, the ACT will present question stems that ask you questions about the effects of adding, removing, or reorganizing the information in the passage (e.g. “Given that all the choices are true, which one provides significant new information?”). And here’s the first accompanying question. If that’s all you ever wanted to know about ACT English, great! If not, read on and we’ll take an in-depth look at timing and scoring before diving into the content ACT English tests and how to master it. Just as Luke Skywalker has to learn to dig down deep and access the Force, you’re going to learn to master your own force. So it might not be as cool. That’s okay. The timing on ACT English is technically the fastest of all the sections on the ACT—but don’t freak out, because the questions also tend to be the shortest (by far). You’ll answer 75 questions in 45 minutes. This is the most questions you’ll encounter in a single section. After English, you’ll go on to Math (60 questions in 60 minutes), then Reading (40 questions in 35 minutes), and finally Science (40 questions in 35 minutes). If you’re taking the Essay, the 40 minutes you have to answer just the one question should then seem pretty luxurious. But back to English: 75 questions in 45 minutes is the equivalent of 36 seconds per question, including bubbling in your answer choice and turning the page where necessary. To account for these tiny but necessary time thieves, aim to answer two questions a minute. Again, that sounds like a lot, but the questions are short. Furthermore, if you’re familiar with the format and question types, you’ll go a lot faster (all the more reason it’s a good thing you’re here)! If timing is still an issue for you, though, there is a pretty simple method you can use to speed up your English-question-answering, which we’ll look at later in Common Struggles. C-3PO is right, though: sometimes, you do just want to know the odds. Unless you’ve scored a perfect 36, you’re probably wondering how your score stacks up. In other words, what’s a good score on ACT English? At the end of the day, of course, what a “good score” is depends on your goals. However, you can get a general sense of how your score stacks up by looking at percentiles. Just like their name implies, percentiles describe the percentage of students taking the test who scored lower than you did in this section (the 100th percentile in the chart is rounded up, meaning that it is possible to get this score, though fewer than 1 person in 200 does). Just like Princess Leia, who once thought she’d rather kiss a Wookie than young Harrison Ford (?!? ), you may find that the idea of taking the ACT kind of grows on you. When you’re deciding which test to take, it’s important to look at all of your strengths and weaknesses by section and then overall to see whether the ACT or the SAT is right for you. Taking a practice test for each exam is also a good idea. When it comes to ACT English, evaluate the following factors before making up your mind. If timing is a big issue for you, the SAT may be a better choice. While it’s not that much shorter than the ACT English section (35 minutes compared to 45 minutes), SAT Writing only gives you 44 questions, compared to the ACT’s 75. This will make a huge difference for many students. However, this does mean that if accuracy is an issue for you, the ACT may be a better choice, as each wrong answer will have less of an effect on your overall section score. 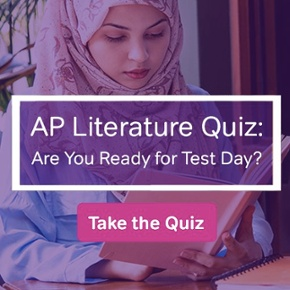 Furthermore, while the test formats are similar, ACT English questions tend to be less complicated in terms of both grade level and simplicity of answer choices. Whether or not you have your own personal Obe-Wan Kenobi to teach you those Jedi mind tricks, there’s no reason you can’t dig into ACT English skills with all of the enthusiasm of Luke learning to use his lightsaber. After all, it’s super important to know what skills the ACT English section tests so that you can make your preparation as efficient as possible. The number one thing to keep in mind as you prepare is that ACT English tests a limited number of topics. It can seem overwhelming when you’re first learning the concepts that appear on ACT English, but keep going: you will get there! Quick note: this list comes from the amazing Magoosh ACT eBook, which you can find for free here! This is particularly important to check out if some of the concepts above aren’t familiar to you. The ACT doesn’t care if you know the grammar rules. The ACT only tests whether or not you know how to use them correctly. This is not an invitation to skip grammar study, though! Incorrect sentences often “sound good” to us until we know how to apply grammar rules. Instead, it’s a reminder that you should study grammar in context, because that’s what you’ll see on test day. Magoosh’s free ACT Flashcard app is great for this, by the way! What Are the Goals of the Test? Unlike some of the other multiple-choice sections, particularly Science, ACT English is much less about reasoning and much more about testing particular grammar rules. Reasoning does come into play: for example, you will be asked about organization and what makes the most sense. However, a lot of these questions follow patterns that you can learn while prepping for ACT English. What we can infer from this is that ACT English is there to test your knowledge of standard written English. That, and that alone, is its major goal. First of all, colleges care because they want to admit students who will succeed in their classes and (like it or not) writing is a necessary part of every college course, including composition, which is often a required part of the college curriculum. Having students fail classes, take longer to graduate, or even drop out hurts colleges’ reputations and rankings, so it’s the admissions officers’ job to make their best guesses about which applicants have what it takes to succeed during their first year of college. Secondly, writing is a life skill. Writing grammatical and accurate sentences and logical paragraphs will be important for you well beyond college, no matter what you end up doing. The same cannot be said of, for example, your Intro to Marine Biology course. Students with strong writing skills will thus also reflect well on their college long after graduation! I’m sure you’ve already guessed, but your English classes have probably already taught you a lot about succeeding on the ACT English section. Never fear, though: if you’ve forgotten everything you ever knew about conjunctions, remember that the ACT only tests specific topics, which you can learn (or re-learn) with practice. While it can be disheartening to learn that ACT English tests your knowledge of grammar in context, rather than grammar rules as such, this is actually great news. Why? Because non-academic material can help prepare you for the test. Focus on publications that adhere to strict standards: The New Yorker, for example, is known for its strict adherence to grammatical standards. Larger newspapers, such as The New York Times, are also generally good sources for well-written sentences and paragraphs, as they too have strict editorial standards. However, as you read, make sure you’re thinking about the construction of the sentences! It’s great to get wrapped up in the articles themselves (and very useful when prepping for ACT Reading), but it’s not as useful for ACT English. This is Ori. He is awesome. Follow his advice! To study while actually studying (you know what I mean! ), check out Magoosh’s free ACT study guide! Once you know how to recognize and attack ACT English question types, you (unlike the poor storm troopers) won’t be fooled, even by Obi-Wan and his hand-waving nonsense. Standardized tests often seem overwhelming to students at first—but once you break them down into their parts, they tend to seem a lot less scary. It’s great to know, for example, that ACT English only tests you on six subject areas. In other words, it’s not as overwhelming as you might think! The first thing to know is that ACT English questions can be divided into Usage and Mechanics, and Rhetorical Skills. Usage and mechanics questions will ask about punctuation, grammar and usage, and sentence structure. Rhetorical skills questions will ask about strategy, organization, and style. It’s a good idea to copy out that list and keep it somewhere as you study, as it can help direct your ACT English prep. For example, did you notice that sentence structure questions are far more common than every other question type? Of course, eventually you’ll want to study every type of ACT English question (maybe “want” is a strong word there…), but this list gives you a good idea of where to start. For more info, take a look at our post on the most frequently tested ACT English topics. This is one of the questions tutors get the most: to read the whole passage, or not to read the whole passage? It’s a waste of time to read the whole passage before you answer questions. But should you answer questions first? Keep in mind that the answer you need could be a few sentences away. 3. When Star Wars creator George Lucas and his team began casting the first film now known as Episode IV: A New Hope Lucas placed little importance on the actors (3). He believed that audiences would come to see the film for its special effects and the story, rather than the actors. Because of this (4), his original script was vague about who should play the roles of what would eventually be three iconic characters: Luke Skywalker, Han Solo, and Princess Leia. With casting director Dianne Crittenden and his co-writer/director Brian de Palma, Lucas saw around 3,500 actors when casting the film. Because he had ironically (5) not found the characters important enough to specify their characteristics, he had to spend hours watching the auditions of multitudes of actors and actresses. Auditioning actors report that the dialogue was difficult to say due to its jargon, further emphasizing Lucas’s focus on the technical effects rather than the characters in the film. Eventually, Lucas, de Palma, and Crittenden cast the now-legendary team of actors: Mark Hamill, Carrie Fisher, and Harrison Ford. The original Star Wars trilogy catapulted the trio to superstardom. When Star Wars creator George Lucas and his team, at the beginning of their casting the first film, now known as Episode IV: A New Hope Lucas placed little importance on the actors. When Star Wars creator George Lucas and his team began casting the first film, now known as Episode IV: A New Hope, Lucas placed little importance on the actors. When Star Wars creator George Lucas and his team began casting the first film, now known as Episode IV: A New Hope Lucas placed little importance on the actors. 4. When Star Wars creator George Lucas and his team began casting the first film now known as Episode IV: A New Hope Lucas placed little importance on the actors (3). He believed that audiences would come to see the film for its special effects and the story, rather than the actors. Because of this (4), his original script was vague about who should play the roles of what would eventually be three iconic characters: Luke Skywalker, Han Solo, and Princess Leia. 5. When Star Wars creator George Lucas and his team began casting the first film now known as Episode IV: A New Hope Lucas placed little importance on the actors (3). He believed that audiences would come to see the film for its special effects and the story, rather than the actors. Because of this (4), his original script was vague about who should play the roles of what would eventually be three iconic characters: Luke Skywalker, Han Solo, and Princess Leia. If you find those easy, why not try out some super-challenging ACT English problems here? For most people preparing for ACT English, some struggles are bound to come up along the journey. When this happens, take a step back. Realize that the strategies that have worked for you up to this point may not be working anymore, and that you might have to review the materials and schedule you’ve been using. However, know that by working on just a few areas where a lot of students struggle, breaking through to the next level doesn’t have to be difficult! One major issue that students struggle with on ACT English actually doesn’t happen on test day, but rather occurs during prep. This is failing to identify issues in the questions you got wrong. In other words, not understanding why you got certain questions wrong. Particularly if you’re working on your own, as opposed to in a class or with a tutor, this can be frustrating. One of the best things to do in this case is to make sure you’re using good materials that provide answers and explanations, so that you know exactly how to get similar problems right next time. Another good practice is to keep an error log, which you can read about here. Use the error log for ACT English practice questions as test day approaches; it’s the best practice you can have, because you know that those problems challenged you in the past! Where Do Students Lose the Most Points on ACT English? With that said, a big reason that students lose points on test day has to do with not reading enough of each passage. Recent ACT English tests have become more sophisticated, and sometimes the clue you need to answer a question is a few sentences away. Don’t worry about this affecting your timing. You can use the strategies in this post to get faster on ACT English without losing accuracy; as you use them, keep in mind that cutting down on the amount of each passage you read is not the key to getting faster! I know it seems like reading less should save you time. And a lot of my students have argued this point with me in the past, truly believing that reading the underlined portion of the passage alone is the key to mastering ACT English timing. But it’s not! When working on ACT English problems, you have to remember that nearly half of them test rhetorical skills. This means that a sentence may be all right grammatically, but it doesn’t make sense in context. To identify and correct these sentences, you’ll need to take a look at the big picture: read well before and after the underlined portion. It takes slightly more time, yes—but it greatly increases your accuracy. After all, there’s no difference between answering 40 out of 40 questions correctly and 40 out of 75 questions correctly, so don’t sacrifice accuracy for the sake of speed! This is a question I get all the time about the ACT as a whole. A general point about all sections of the ACT is that you don’t lose points for wrong or answers, so it’s always worth eliminating obviously wrong answer choices and then taking your best guess. If you have only a minute or two left on the section, you should bubble in answers at random for the remaining answers: it can’t hurt and it just may help. So what kinds of answers should you go for when you’re quickly skimming? First of all, look for questions that include the answer choice “OMIT the underlined portion”: You will often see an answer choice with this phrase. While it is not always correct, it is a good place to start! Ask yourself if the sentence makes sense without the underlined phrase. Is the sentence suddenly clearer or less wordy? If the meaning of the sentence doesn’t change, and the underlined portion is unnecessary, choose “OMIT”! On that same note, keep in mind that the ACT almost always prefers the shortest, most concise answer choice. The correct answer choice is often (though not always!) the shortest one. Why? A lot of us are in the habit of overwriting, making sentences more complicated than they need to be. For this reason, when you come across answer choices with very different answer choices, the shortest one is a good choice. Just remember: short and sweet. Even if you knew nothing about ACT English before starting this post, you now have a ton of info that will already help you boost your score, from the big background ideas that govern the test’s construction to the nitty-gritty about ACT English answer choices. By applying what we’ve already discussed to your study plan, you have what you need to start improving your score. But when you’re trying to improve your score by leaps and bounds, sometimes it may take a more targeted, strategic approach. With that in mind, let’s look at what you can do to raise your ACT English score by 2, 4, or even 6 points! Particularly if you’re new to ACT English, if you find that you rarely finish the ACT English test, or if you’re far more accurate in your lessons and on practice questions than you are when taking the exam sections, learning how to get faster on ACT English without losing accuracy can make a huge difference in your score. Sure, you might be thinking, but how big? Actually, if you look at ACT English raw to scaled scores, you’ll see that answering even two more questions correctly can take you from a 30 to a 32, or a 28 to a 30, while answering three more correctly could take you from a 28 to a 31. That’s nothing to turn up your nose at! So with that in mind, here’s a quick guide to training yourself to be faster on ACT English. Do you run out of time on ACT English? (Or, for that matter, any other section of the ACT?) As you take your weekly ACT English practice tests (yup, you should be taking them weekly to maximize your score), work within the standard time limits. During the week, work through lessons and practice sets. Give yourself a set of 10 ACT English practice problems you haven’t done before. Time yourself as you take them, but don’t stop when five minutes are up. In fact, don’t look at the clock at all as you work through the problems. When you have finished, stop the clock and grade them. If you answered fewer than 6 questions correctly, it’s a good idea to work on your accuracy before moving on to speed. If you answered more than 6 questions correctly, mark your accuracy score (e.g. 8 of 10 questions = 80%) and the time it took you to answer them on top of the page. The next time you sit down to answer a practice set of problems, shave 10-20 seconds off of your original time. If it took you 10 minutes to answer 10 questions with 80% accuracy last time, give yourself 9:45 this time. When you have finished this second set, check your accuracy score. If it is below your original accuracy score, keep working with this timing until you can consistently match or exceed your initial accuracy score, at which point you can shave another 10-20 seconds off your overall time. Keep going until you’re down to 5 minutes per ten questions. This is a process that will take some time to master; for many students, it may take a month or more. However, for a lot of test-takers, the biggest pitfall they face on ACT English is time. By mastering it, you’ll see your test scores shoot up. If you’re looking to boost your ACT English score by four points, know that it can be done—but it’ll take some work! This is a big leap, and the first thing you should do is apply the advice from earlier in this post, including the tips for boosting your score by two points, to your studying. After that, though, what can you do to get those remaining two points? Again looking at raw to scaled scores, you can see that a four-point difference on ACT English can mean answering between four more questions (30 to 34) to ten more questions (16 to 20) correctly. Ten is a lot, but you’ll already pick up a few more points as you get faster at answering ACT English questions. To pick up even more points, you’ll want to start paying more attention to punctuation on ACT English. Why punctuation? In the first place, it accounts for 12 problems, or nearly 20% of your score. In the second place, punctuation has clear and learnable rules that are relatively simple to use correctly in context once you learn them. Check out the Magoosh ACT eBook (it’s free!) for the rundown on commas, semicolons, colons, apostrophes, and dashes. Super ambitious? Making a 6-point leap in your ACT English score isn’t going to be easy, but it’s definitely possible with hard work and careful planning (and lots of practice). 6 points on the ACT can mean answer as few as 8 more questions correctly (to go from a 30 to a 36) or as many as 16 (to go from a 6 to a 12). The first thing you should do is to read the advice for 2- and 4-point boosts. But what then? Then, you’re going to have to get even more specific. What you do next will depend on where you’re currently scoring. If you’re currently scoring below a 20, keep working on your timing and accuracy. Chances are you’re not finishing all of the questions in this section; if you are, you should probably spend more time on each one. Answering fewer questions, but answering them correctly, can be the key to cracking the 20s. If you’re currently scoring in the 20s, it’s time to work on your Achilles heel! At this level, you are most likely doing much better in either Usage and Mechanics or in Rhetorical Skills. In my experience, it’s more likely that you’re scoring better in Usage and Mechanics, as Rhetorical Skills (testing structure, organization, and style) can feel overwhelming and vague to students, especially in comparison to the strict rules sentences should follow in Usage and Mechanics. If you’re trying to break a 30 (or trying to break a 36! ), you’ll need to individualize your plan even more. At this point, it’s likely that only the trickiest questions are tripping you up, and these could be in a wide variety of areas. As I already mentioned, keep an error log to spot patterns that are keeping you from scoring where you want to. Idioms questions often present even top English students with trouble; if this is you, check out Magoosh’s post on idioms and our video post on idioms here. Other tricky question types include those that feature redundant meanings and those testing for wordiness. You can access Magoosh’s video lessons on redundancy here and on concision and wordiness here, both for free. Hmm. The answer to this question reminds me of that old joke: How do you get to Carnegie Hall? And that’s the same thing you need to do to get a perfect score on ACT English. That sounds like rote advice, but there’s good reasoning behind it. When you’ve taught the ACT for a while, you see just how formulaic a lot of ACT questions are—and nowhere is this more true than on ACT English. Yes, the sentences themselves change, but the patterns of error don’t. Keeping an error log is especially vital when you’re working to get a top score on ACT English. By the time you’re scoring in the 30s, your errors are most likely scattered among different topic areas. In most cases, high-scoring students miss questions because they don’t realize what they’re asking. By keeping an error log and returning to it for practice, you’ll be increasingly likely to recognize exactly what each question is asking. Finally, don’t beat yourself up if you don’t get a perfect 36. A 35 (or really any score in the 30s) will still look great on your college applications, and it is a far, far better use of time to work on your college applications than it is to re-take the ACT just to see if you can get that extra point. It really will not make a whit of difference to admissions officers, while a hastily written essay definitely will. First of all, congratulations on making it through this whistle-stop tour of ACT English! We’ve covered a ton of information, so you may want to bookmark this page and come back to different sections as you go through your ACT English prep. In the meantime, what’s next? It’s also a good idea to check out the official ACT website for materials and prep. Finally, make sure that you have your ACT study schedule sorted out; we have one that can help you master the exam, whether you have a week or three months (or more) to prepare!